London Driving Schools in Roehampton SW15 is a great place for the residents of the Roehampton to learn to drive with quality driving lessons with qualified, patient and friendly driving instructors. London Driving Schools Roehampton branch is pleased to offer driving lessons on both manual and automatic cars. Our school has both male and female driving instructor in the Roehampton area. Your learning with London Driving Schools in Roehampton will start on the quieter roads to build up your driving confidence. First our instructors make sure that you are getting comfortable with the basic vehicle controls such as clutch control, gear shifting, braking and steering. Then your lessons will progress to the more complex road layouts with an increase in traffic and roundabouts such as the big three lane roundabout by Tibbetes corner. Experiencing all road layouts and hazards will help with your driving knowledge and experience which you will need to demonstrate in your driving test. As the saying goes, “practice makes perfect!”. Here are some great Driving Test Tips for drivers in Roehampton. Learning to drive with London Driving Schools in Roehampton will enable you to achieve your driving license quicker than other local schools. 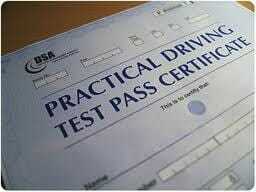 More than 90% students of London Driving Schools pass their driving test at their first attempt. We believe this is proof of the quality of our driving lessons and driving instructors in Roehampton. The accumulative cost of driving lessons is generally less when compared to other driving schools in Roehampton. Ours school strictly follow DVSA standards to maintain the quality of driving lessons which increases the speed and effective of how much you learn. We don’t train our driving students how to pass a test but how to drive safely and confidently. LDS also guide our students through the selection of the right driving courses so they get the maximum benefit out of their investment. Therefore if you are confused regarding the right driving course selection for you, do not hesitate to contact Your London driving School Roehampton SW15 for help and advice. Why choose this Roehampton driving school? Thorough practice of driving during your lessons. Taste of all types of road conditions and layouts during our lessons. So don´t wait to miss the freedom of driving. 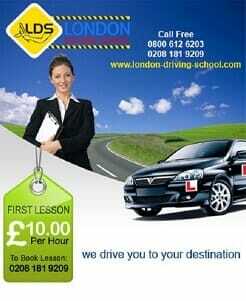 Join London Driving Schools in Roehampton to get quality driving learning on cheap prices. Refresher Driving Courses, ideal for those driving in Roehampton wanting to brush up on their driving skills. To find out more about the driving courses in Roehampton we offer please click here. London Driving Schools in Roehampton is the smart choice when choosing a great driving school in the local area. We can provide emergency driving test vehicle hire. If you need a vehicle to take your driving test in at short notice in Roehampton give us a call. See our testimonials and reviews to find out why you should be joining London Driving School in Roehampton.